Don’t be alarmed if the back of your ring starts to appear dull or you see the slight appearance of dull yellow on the surface – this is a natural process when the rhodium on the surface of white gold starts wearing off and the yellow gold starts to emerge onto the surface. This is no reason to panic. You can always get the shine and brightness of your white gold ring back to its original glory by getting rhodium plating done by the certified jewelers at Southside Jewelry in St. Louis, Missouri. If you want to maintain the distinct sheen exuberance and beauty of your white gold rings and precious jewelry forever, Rhodium Plating (or dipping) is a great option. Rhodium plating will not only enhance the reflectivity and luster of white gold, but also make the diamonds on it shine brighter and appear more clear and brilliant. 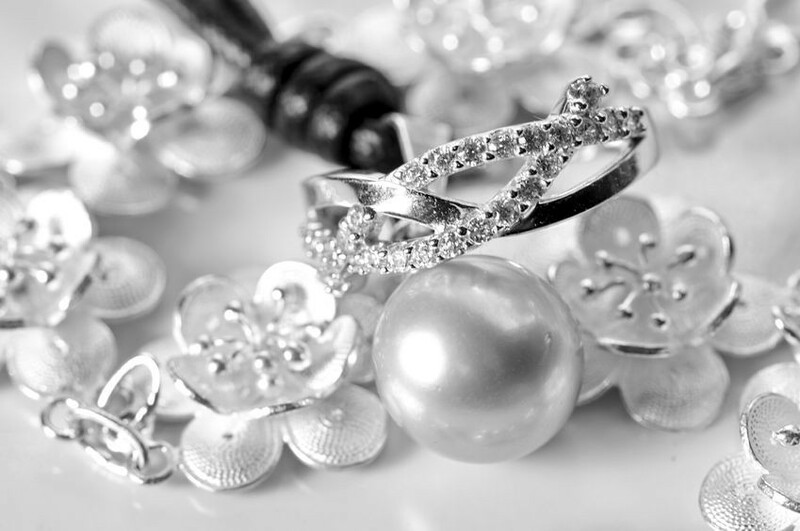 Also, Rhodium plating, when completed by the experienced jewelers at Southside Jewelry, can enhance the life and durability of white gold jewelry and also make it less susceptible to corrosion and damage. Rhodium is a rare, silvery white metal that belongs to the Platinum group in the periodic table. As compared to gold and other precious metals, it is more reflective and does not “oxidize” with air even in extreme weather conditions or heat exposure. Because of this property, not just white gold, but silver jewelry is also plated with it to retain a shiny and bright appearance. What few people know is that Rhodium plating is not just a process to make white gold shiny again – all white gold jewelry undergoes Rhodium plating when first designed. Most jewelers make white gold by adding alloys like Palladium and Nickel into yellow gold. However, the resulting white gold is not pure white – it has a faint yellowish tinge to it. To make it appear silvery and shine brighter, it is plated with Rhodium coating for a bright silver look. The process, unfortunately, is not permanent, and with normal wear over time the brilliance will fade away and the bright shine will wear off. To maintain the quality and allure of your white gold jewelry and rings, it is important to use very experienced jewelers just like the team at Southside Jewelers of St. Louis, Missouri.